I'm going back to my roots. No baking, no recipes, just an old school sandwich. Onion Bhajis, with all the trimmings, between two slices of bread. What exactly is that yellow sauce that comes with your poppadoms and other Indian starters? I don't even know what it's called, but I know that it is an essential component of an authentic curry house experience. 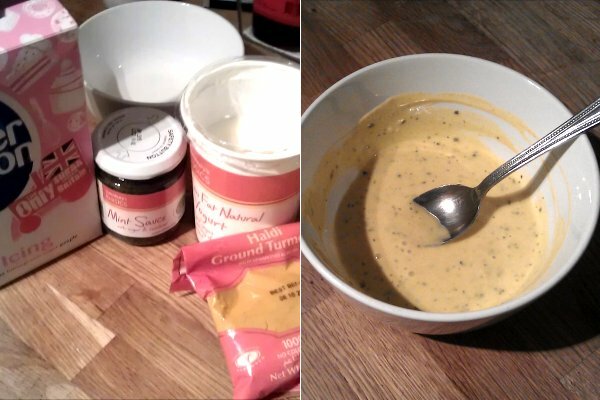 And I reckon my version was pretty close to the real deal... yoghurt mixed with a bit of mint sauce, sugar, and turmeric. You know, the stuff in the little plastic bag that always seems to come with your takeaway. 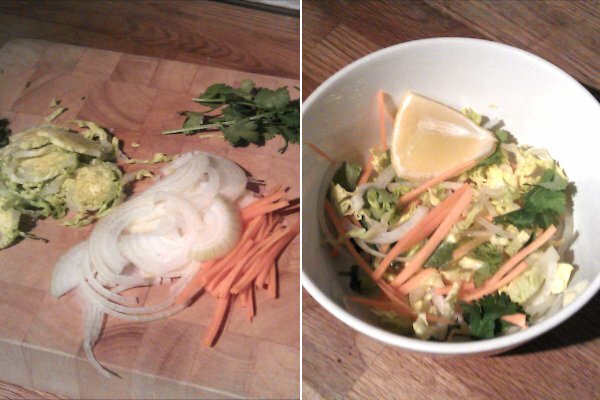 Slices of lettuce, onion, carrot, and always a wedge of lemon. Should there be a piece of tomato in there? How about coriander (in the classier establishments)? My memory was failing me. I decided that tomato just wouldn't be right for this sandwich, but coriander would probably go pretty well. I thought that the perfect bread for this sandwich would be an artisan organic ciabatta. 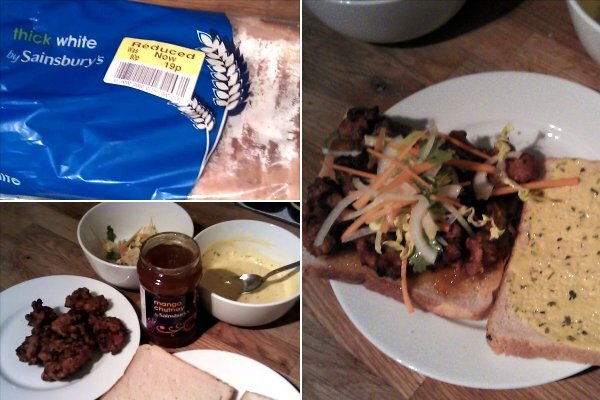 But then I saw that Saino's had some white sliced crap going cheap, so I got that instead. Mango chutney on one slice, yellow stuff on the other. Broken up (and warmed up) onion bhajis in the middle, with the salad on top. A big squeeze of lemon, and a bit of salt and pepper. This sandwich was, in all honesty, bloody delicious. 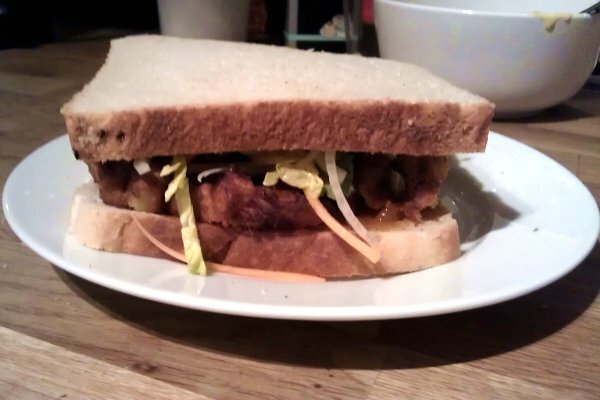 Perhaps even better than a fish finger sandwich. Maybe I need to change the name of the blog.